The mini greenhouse comes with a tray that fits ten of your ickle pots. This means that any excess water that spills out of the pots doesn't spill over your mummy's table and get you into trouble! You get thirty (yes 30!) little coir pots to plant into (if you are good at sums like me that means you can do three different sowings of seeds before needing more pots.) This type of pot biodegrades which means you can plant the pot straight into the ground when it is ready.Clever huh? And you get a see-through lid to go onto your tray too which means the seeds are nice and cosy and you can watch as they grow. The tray comes in a funky orange colour too so it's nice and colourful. Fill your pots with some seed compost and water slightly. 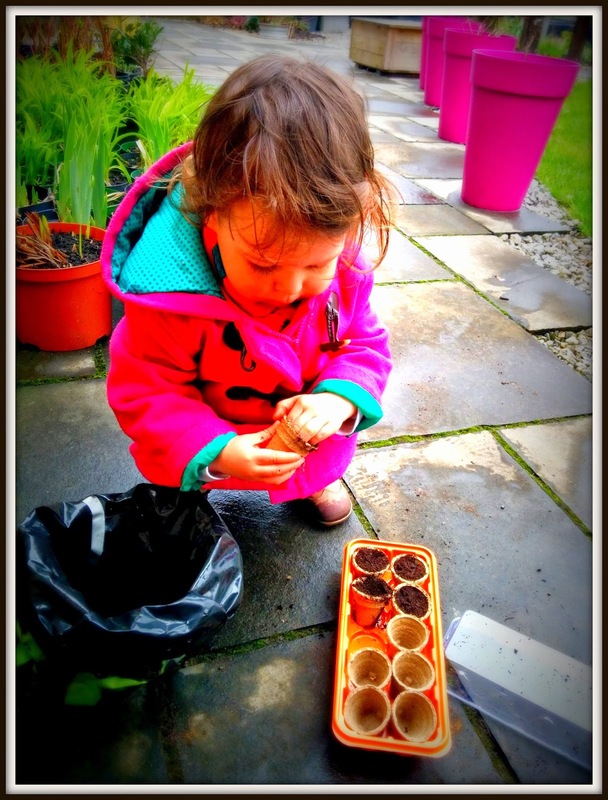 Then sow your seeds as per the instructions. 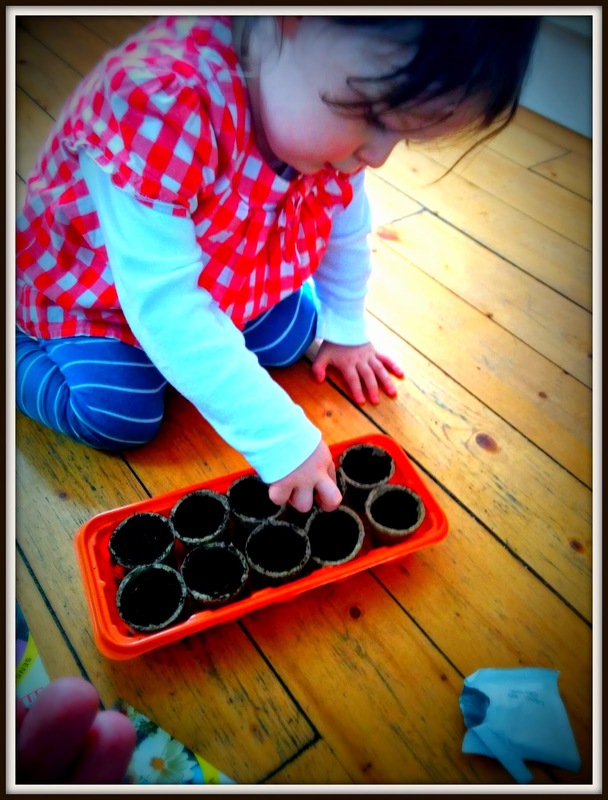 Pop the lid on and put them on a sunny windowsill to germinate. Already after just a couple of weeks lots of my seeds are growing and are starting to be "hardened off"1 outside. In my next round of pots I am going to grow some purple mangetout seeds which my BFF Euan gave me this weekend. Purple mangetout - how cool! The mini greenhouse is really easy to use - it's nice and dinky just like me! 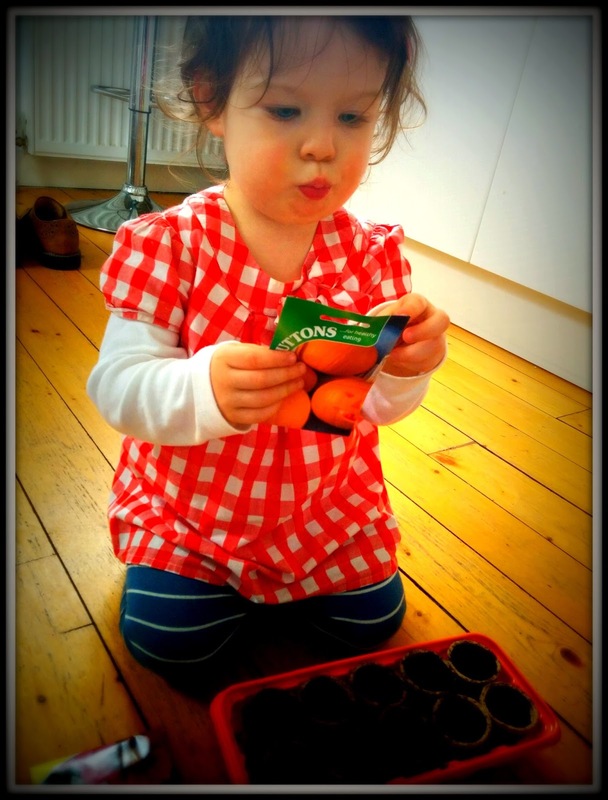 If you're new to gardening then it's a great way to start off growing some veg or pretty flowers. It takes up hardly any space on the windowsill and it's great fun keeping it watered and watching for plants popping up. And from only £4.99 it's a bargain! Wowser, the plants are growing already! 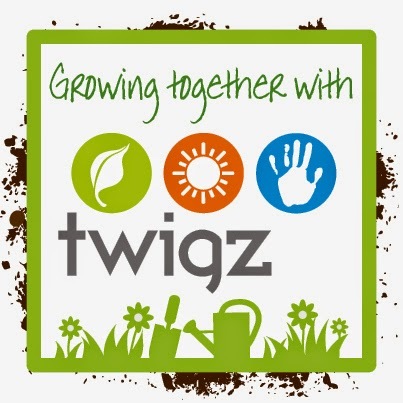 The Twigz Mini Greenhouse is available from lots of places online or go visit the lovely people at Bigjigs who distribute all the lovely Twigz things in the UK. 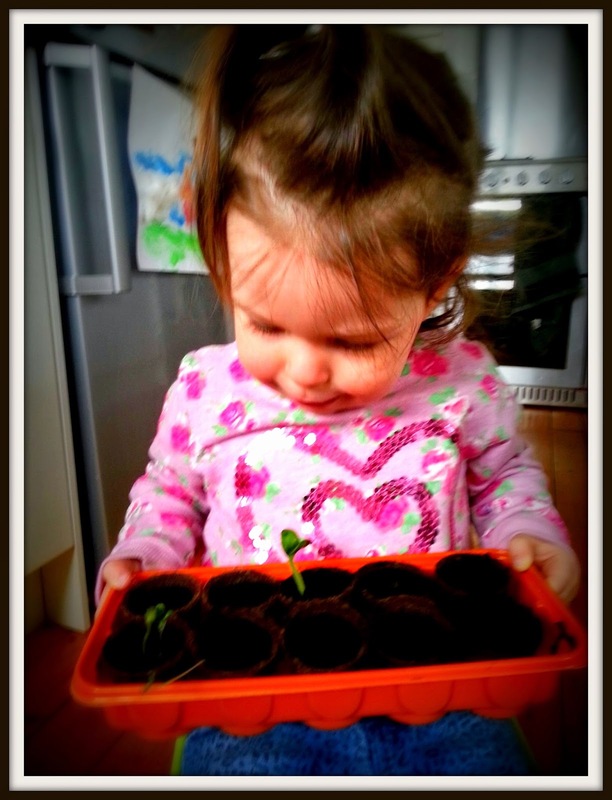 It certainly gets the "Lulu's Garden" stamp of approval! 1. "Hardening off" means taking your seedlings outside each day so they get used to the outside temperature. Remember to bring them in each night though before it gets too chilly. After a couple of weeks they will be ready to be planted outside in the garden.